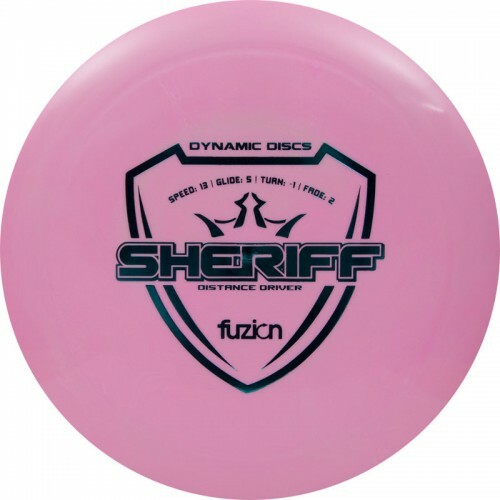 The Dynamic Discs Fuzion Sheriff is an overstable distance driver. It is a versatile high-speed disc golf driver that is great for long anhyzers, flex shots and pure hyzers. The Sheriff will protect you from the onslaught of bogeys sure to come without the right disc. It will help you handle any problems that might arise.